It’s been a year since more than 2,800 police officers in D.C. were outfitted with body-worn cameras, and two new reports say some officers are still failing to use the cameras properly as they’re required to do. A new report from the D.C. Office of Police Complaints says that in one-third of the complaints the independent agency investigated from October 2016 to September 2017 for which footage was available, police officers either failed to turn on their camera, turned it on late or turned it off too early. And in a separate report from the Metropolitan Police Department to the D.C. Council, police officials say that in the first six months of 2017, there were 227 internal investigations of officers for failing to turn on their body-worn cameras. Of those, 164 cases ended with the officer being found responsible, while in 45 cases they were exonerated. D.C. police officers are required to turn on their body-worn cameras whenever they are dispatched to a scene. And in the wake of the police-involved shooting of motorcyclist Terrence Sterling last year — where the officer who fired the fatal shots did not turn on his camera — the department changed its policy to require that officers confirm with dispatchers that they have turned on their body-worn cameras. A recent study by the city found that the presence of body-worn cameras did not impact how officers interacted with the public. But the Office of Police Complaints — which has access to all body-worn camera footage — says they have made it easier to investigate police misconduct. “One apparent impact of access to [body-worn camera] footage is that OPC investigators are better able to determine the merits of allegations against officers, and complainants are more likely to cooperate with OPC’s investigation,” says the report. According to MPD, footage from the cameras was used 857 times between January and June 2017 for internal affairs investigations, and 537 times for investigatory complaints by the public against officers. During that timeframe, all the body-worn cameras in use produced over 203,000 hours of footage — roughly 23 years worth. Footage is retained for a minimum of 90 days, unless it is used for an investigation or for an active case. 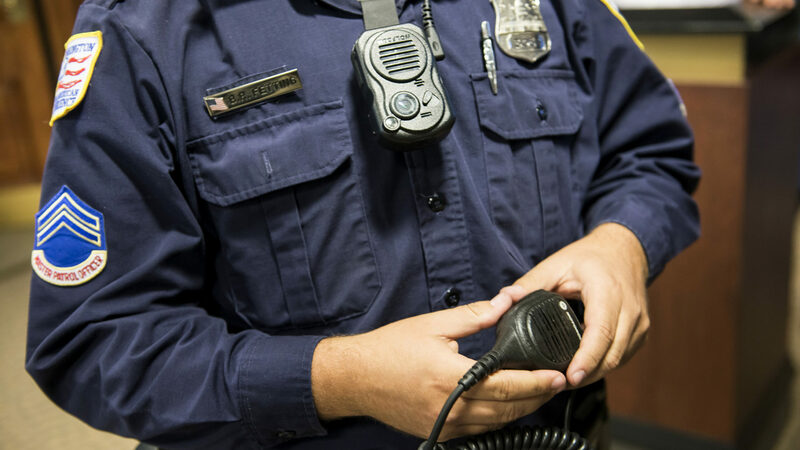 Regionally, police in Montgomery County are also using body-worn cameras, and they will likely be joined later this year by police in Fairfax County and Prince William County.